Obituary for Louis A. Wiernusz Jr. | John V. Morris Family Funeral Homes, Inc.
Mr. Louis A. "Cookie" Wiernusz Jr., 70, formerly of Washington Park, Mountain Top, passed into Eternal Life early Thursday morning in the care of Fritzingertown Senior Living Community, Drums, following a recent illness. Born January 26, 1949 in Wilkes-Barre Township, he was elder of two sons to the late Louis A. and Helen (Mattias) Wiernusz Sr. Educated in the township schools, he was a member of the 1966 graduating class of the former Wilkes-Barre Township High School. In his youth and following his formal education, Mr. Wiernusz was employed with the former Craft Associates until the time he was drafted into military service. 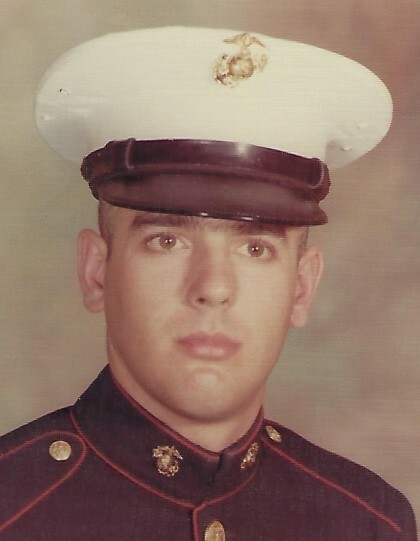 A combat veteran of the Vietnam War, Louis proudly served our country with the United States Marine Corps. He attained the rank of Corporal upon the time of his Honorable Discharge from duties on March 26, 1971. Upon his discharge, he was awarded several medals including the National Defense Medal; the Vietnamese Service Medal with one star; the Vietnamese Campaign Medal and the Combat Action Ribbon for his military service. Until his retirement, he had been employed for some thirty years by United Parcel Service in Suscon, Pittston Township. He held membership in the Viet Nam Veterans Post #56, Nanticoke; the American Legion, Post #781 of Mountain Top and Post #815 of Wilkes-Barre Township. In his spare time, Lou enjoyed going to car shows, and seeing the cars and motorcycles of his youth. His favorite cars were Pontiacs and Oldsmobiles, and also Indian motorcycles. On a warm, sunny day, you would be guaranteed to see Lou cruising down the road on his motorcycle. Above all, he cherished his three adoring grandchildren, who were the light of his life. He will be greatly missed by all those who knew and loved him. Left to mourn his passing and cherish his memory are his wife, the former Patricia A. Elias; their children, Brian M. Wiernusz, his wife Jean and their son Zachary of Mountain Top and Stephanie Wiernusz-Newell, her husband Lyle and their children Jagger and Hannah of Hunlock Creek; A brother, several nieces, nephews and dear friends. Lou's family would like to gratefully acknowledge the staff of Fritzingertown for the care and compassion shown to their dad especially in his final days. Funeral services for Mr. Wiernusz will be conducted on Tuesday at 11:00 a.m. from the Wilkes-Barre Heights location of the John V. Morris Family Funeral Homes Inc., 281 East Northampton Street. The Reverend John L. Terry, pastor at Our Lady of Hope Parish, Wilkes-Barre, will serve as celebrant and leader of prayer. 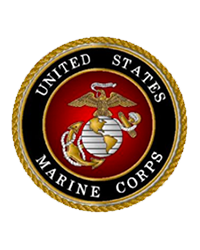 Interment with the Rite of Committal will follow in Maple Hill Cemetery, 68 Saint Mary's Road, Hanover Township, where military honors will be accorded Louis by the United States Marine Corps. Relatives and friends may join his family for visitation and shared remembrances Monday evening from 5:00 until 7:00 p.m. and on Tuesday from 10:00 a.m. until the times of service at the funeral home. In lieu of floral tributes, Louis' family would be humbled if those contemplating a memorial contribution in his memory, kindly give thought to the United States Marine Corps Toys for Tots Campaign, c/o Staff Sergeant Sonlord Jean, Wyoming Barracks at WyomingpaTFT@gmail.com or by calling 570-332-4388 or 570-690-9170.